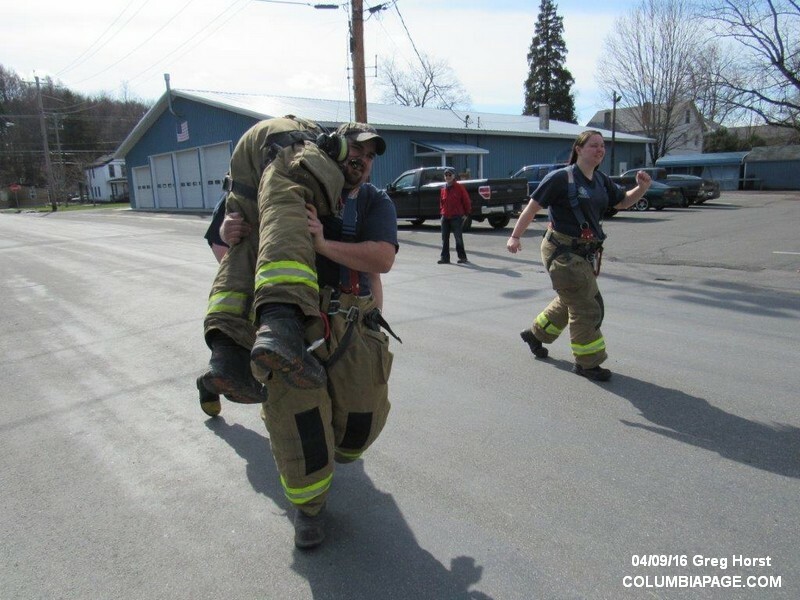 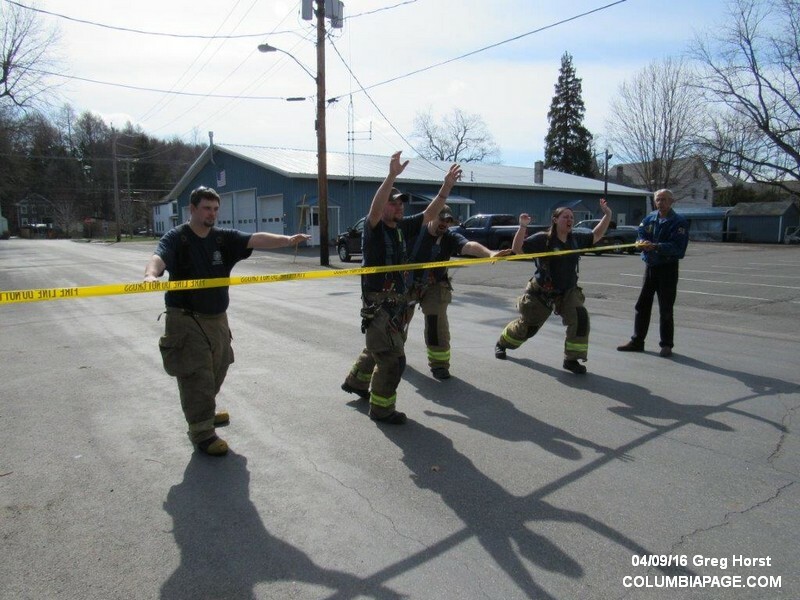 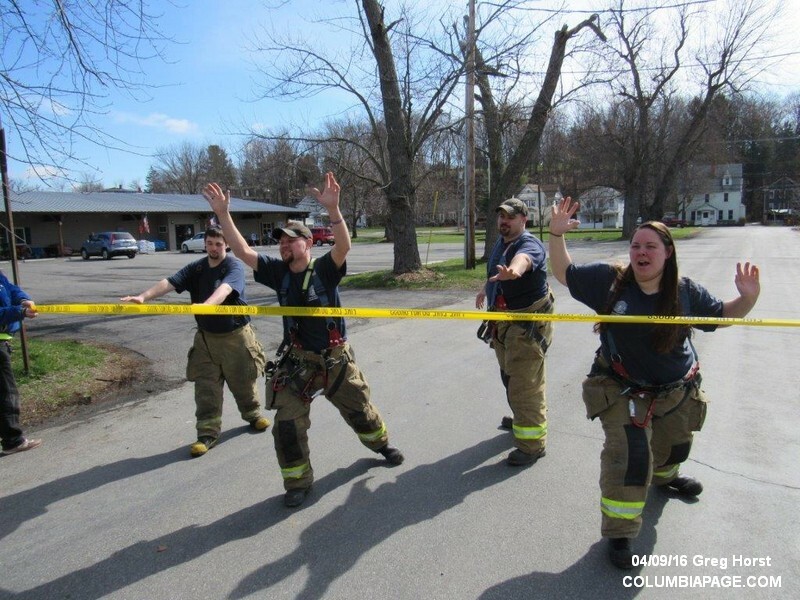 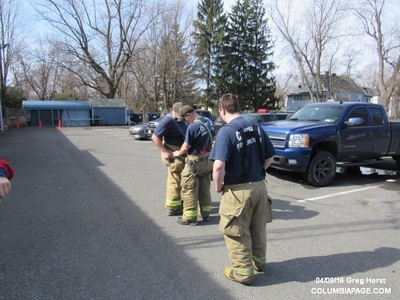 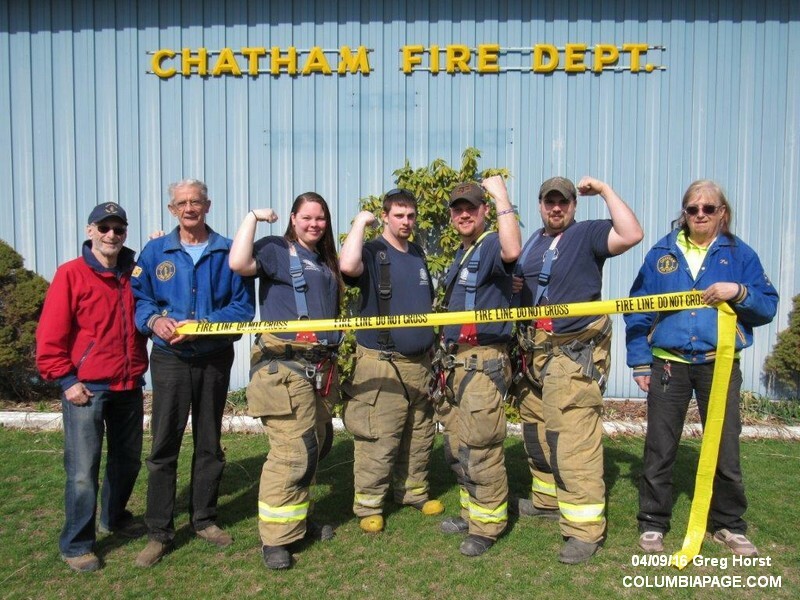 Chatham Fire Department accepts the Sean's Run firefighter challenge and has begun training its team. 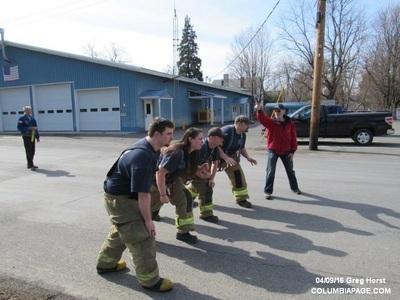 Shown here practicing their start with coach David Levow are Josh Haner, Captain Courtney Haner, Lieutenant Doug Blish and Phil Genovese. 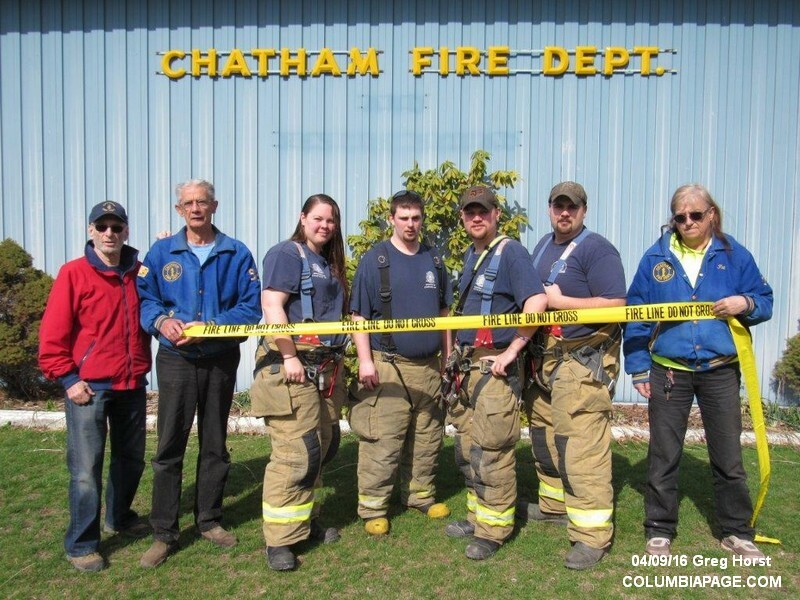 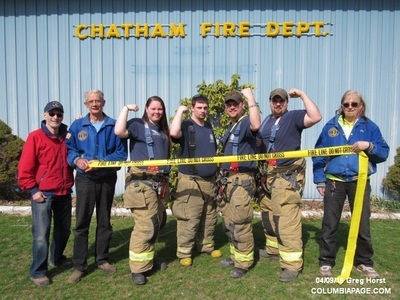 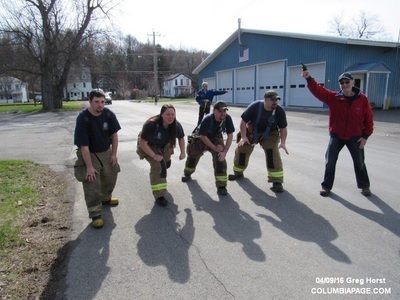 Click below for the Chatham Courier report about the challenge by Philmont Firefighters.